I think its about time I created this thread... To keep all the threads I and others created based on the "Lets Talk African History" banner in one thread so everyone can find these threads for knowledge/info. 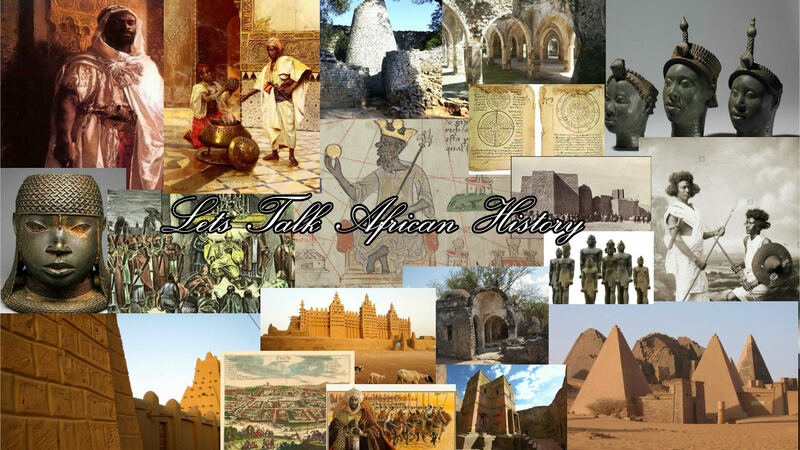 For those that do not know... "Lets Talk African History" is a series of threads made discussing the history of Africa that does not involve Ancient Egypt, since Ancient Egypt according to many has the most attention. People kept complaining about "why Ancient Egypt gets so much focus!" And well... That's where I and others put our money where our mouth is and made these series of threads. Carolina, NoirDynosaur, EastCoastNaga and 20 others dapped this. Carolina, EastCoastNaga, Tony_Bromo and 7 others dapped this. Carolina, IllmaticDelta, Don Drogo and 1 other person dapped this. Nice collage. That picture of that Moor in the top left corner looks like my uncle. EastCoastNaga and Diasporan Royalty dapped this. Definitely a resource for those interested in non-Egyptian african history. very nice image bro @Diasporan Royalty . just came back from a long stay in the Western Sudan today.